Remember how brilliant and perfect Jennifer Lawrence was in Silver Linings Playbook? Remember how she pretty much made that movie exactly what it is (sorry, Bradley Cooper), and then ended up winning the Oscar for it at only 22 years old because it was impossible to ignore how much she just shined on screen? 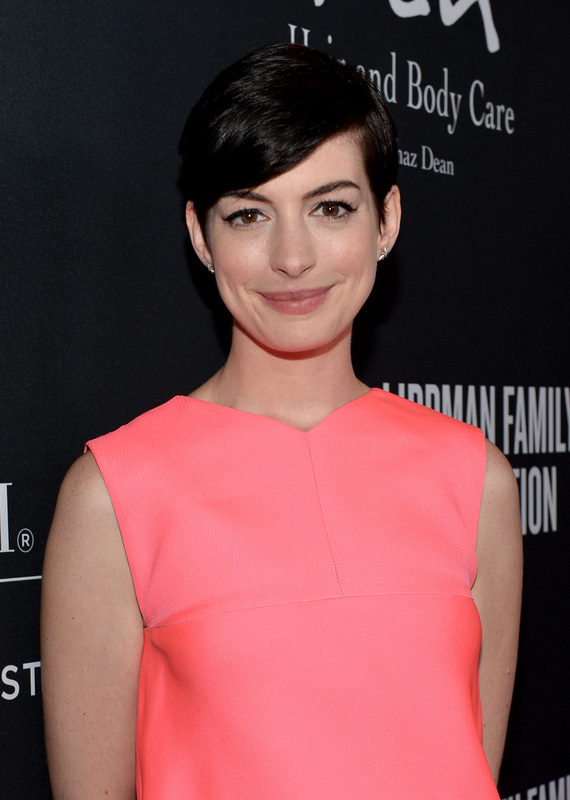 Right, well, apparently all that almost didn't happen, because the role was originally supposed to go to Anne Hathaway. That much has been revealed before, of course — but we've never exactly known why...until now, that is. According to Us Weekly, Anne Hathaway was to star in Silver Linings Playbook , but left over "creative differences" with director David O. Russell. This tidbit of "thank God this didn't happen" Hollywood trivia was revealed by The Weinstein Company head Harvey Weinstein, who worked extensively on the film, during an interview on Howard Stern's SiriusXM radio show today. "Does it drive you insane when you can't get your starlet, the one you know that is going to be right for the movie?" Stern initially asked. Weinstein responded, "It doesn't drive me insane because I've always believed if we can't get somebody established, we'll find somebody new...I'll give you an idea: Silver Linings Playbook was originally going to be with Anne Hathaway and Mark Wahlberg...and then Anne wasn't doing it. And she's marvelous, and wonderful and she was my choice, I love her." Stern seemed surprised, and asked if they weren't able to get Hathaway for the part. "No we got her, we had Annie and then we had Mark," Weinstein elaborated. "then whatever happened, happened...well, David and Anne had some creative differences. They didn't see eye-to-eye." Yikes. Of course, everything turned out OK — after all, Lawrence did win the Oscar that year for Silver Linings Playbook, but Hathaway also won it for her role in Les Misérables. It all worked out!